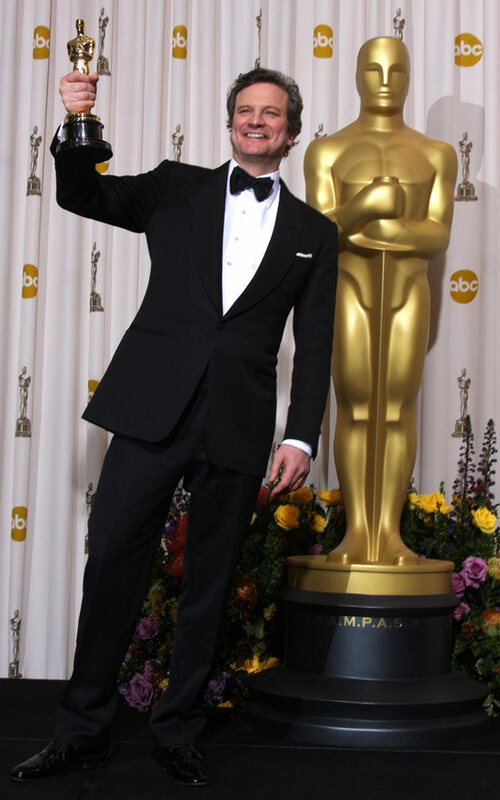 The Academy Awards were given out not too long ago amidst much fanfare. Kodak Theater was packed with the who's who of film-dom all curious to bear witness to the eccentricities of the Academy. You see of late all those who know their movies have been losing faith in the Academy. The Golden Globe ceremony, once considered the poor man's Oscar party is now being given a lot more respect in tandem with the decaying levels of respect for the Academy Awards. Let's have a quick little recap. When the trailers for Inception broke out on the internet people went nuts. It was unlike anything they had ever seen before. The trailers were ably supported by a marketing blitz the likes of which fans of the Batman franchise will be familiar with. The Marketing team behind Inception took Viral marketing to a whole new level and ended up generating enough hype for the film to put up solid opening numbers at the Box Office. The movie itself surpassed everyone's expectations and impressed one and all while taking home sweet collections. Job well done Chris Nolan. But it didn't end there. The critics found it mighty impressive and thus began Oscar talk. It was the best film out at the time and most thought it was a likely contender for best picture. But that was months before December and everyone knows December is Indie season. Inception was released at a time when most big studios bring out their big budget all nonsense movies. No Indie maker would dare to release his film against a studio backed biggie. In comes December. The month of Indies and meaningful cinema. Not too many Big Budget studio projects to compete with which means the Indie makers stand a chance to make some money of their own. Let me add here that Avatar was released in the middle of Indie season wiping out every film that it took on. Right then, Indie season. 127 Hours, The King's Speech, The Social Network and The Fighter all released within relatively short intervals of time. All mighty fine films. The films were neatly categorized. The fighter would take home the acting honours for the supporting roles. The Social Network which is flawless in every respect would definitely have the edge over Inception and finally Colin Firth would walk away with the Best Actor trophy. Point to be noted: Colin Firth was a sure shot winner even before his film released. Most of us movie fanatics had read the screenplay beforehand and we knew the screenplay required the actor to have a cyclone of emotions within him and somehow convey that to the viewers without articulation. No over-acting like Mathew McConaghisdgwew or however his name's written! Who better to portray subdued emotions and torment than Colin Firth. There are those who firmly believe Firth was robbed of an Oscar last year for his outstanding performance in A Single Man. Jeff Bridges went home with more of a lifetime achievement award than an actual best actor award. Firth winning this year was as certain as an Indian batting collapse in a power play! But there was nothing definite about the race for Best Actress. Enter: Black Swan. Darren Aranofsky has over the years built up quite a reputation as a skilled maker of intriguing films. His claim to fame being “Requiem for a Dream” - a film considered by many as the greatest drug oriented movie of all time. The only perceived as competition to it is “Trainspotting” by Danny Boyle. And they both were contenders for Best Director! More on that later. Black Swan is the kind of gritty movie we've come to expect from Aranofsky. Anyone who has watched The Wrestler will know how Aranofsky brings the best out of his actors. That's all his movies are about. Great acting, slick direction and razor sharp editing. What he did with Mickey Rourke he achieved with Natalie Portman. He put her back on the map. Under Aranofksy's able guidance Portman excelled and delivered her greatest performance and really the only performance of her's that was taken seriously post “Leon: The Professional”!! As soon as I finished watching Black Swan the first time around I knew we had a lock for Best Actress. It's just one of those things. Like Heath Ledger in The Dark Knight or Christoph Waltz in Inglorious Basterds you just knew Portman's performance was one of a kind. Before I move on, the Oscar for Best Animated Film was a foregone conclusion the moment Pixar announced they were going to make Toy Story 3. Box office behemoth aside, “Avatar” was a path-breaking achievement in film making. By far the better film over “The Hurt Locker”. But on the side you have Avatar. A movie set to redefine the way films are made, viewed and marketed. 3D. Stunning. Motion capture. "Does that mean a few years down the line we won't need actors anymore?" The movie was too cutting edge, too incredibly advanced for the Academy to take a liking to. And it never helps a film's chances at the Oscars if the US Army loses its battle. On the other hand - The Hurt Locker. American Army. Iraq. An army man's struggle and his grit. Indie. All the right buzzwords. The Social Network. Cutting edge. New age. Facebook. Slick editing that drove home every emotion. Refreshing background score unlike anything we've heard in recent times. Direction that made routine courtroom scenes seem like The Battle of Normandy. Great acting, and above all the best adapted screenplay by far this year. Facebook. The King's Speech. British. A Monarch's tale. Feel Good. Lead Character overcomes impediment. Classical production values. No innovative editing. Far fewer tongue slashing retorts. Old School. British. Now if we eliminate all the other key words and phrases what we are left with is new age Facebook movie versus Old school tale of British Monarchy. Sarcasm means the world to me. Yeah that's always a good place to start. I watch movies...a lot of movies! Sports nut and a die hard Manchester United fan. Highly opinionated and that shows in my articles.